Or would you suggest another method? If the picture you've provided is an accurate representation of the clients hair, then you have banding to deal with on the mid lengths and ends as well as the re growth. Some sections of her hair already look "white" and over processed. If you lighten through these sections again, you risk loosing that hair all together. You have to be very careful. 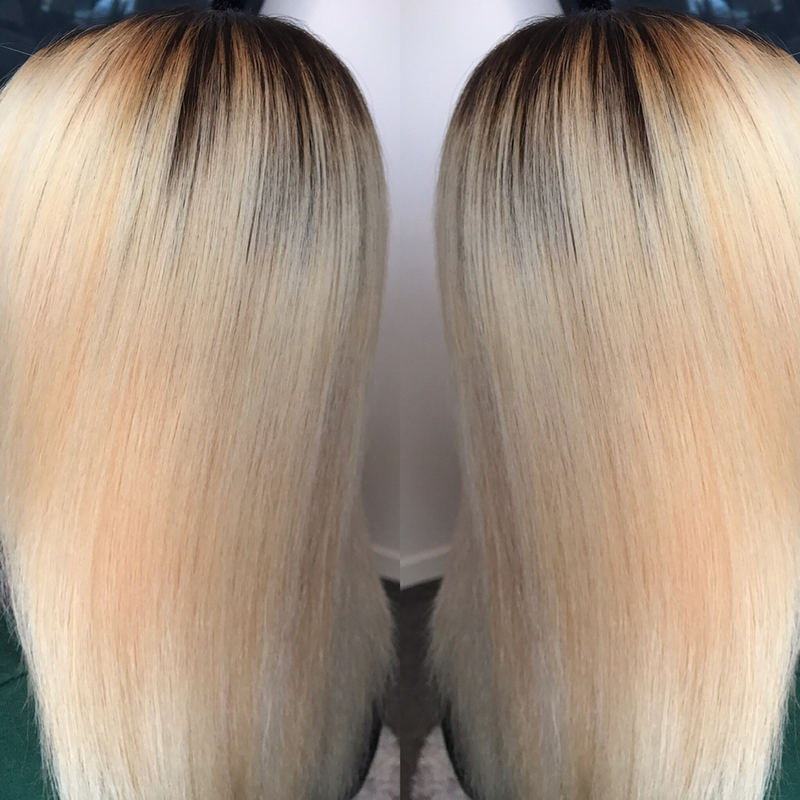 Use olaplex if available, and use a good quality bleach with a low developer to keep the hair in optimum condition. When toning you'll need to take in to consideration the underlying tones that are present after the lightening process. You will need to pre tone first to achieve a clean base. Then you will apply your silver formula. Pirosity of the hair also plays a big part in selecting your toners too. Strand test if you can. Definitely send her home with a moisturising shampoo and conditioner. Also recommend a reconstructing treatment.